Display completely customizable, responsive and search engine crawlable Facebook feeds on your website. Display multiple feeds from any public Facebook page, and completely match the look and feel of the site with tons of customization options! Install the Custom Facebook Feed either via the WordPress plugin directory, or by uploading the files to your web server (in the /wp-content/plugins/ directory). Navigate to the ‘Facebook Feed’ settings page to configure your feed. Use the shortcode [custom-facebook-feed] in your page, post or widget to display your feed. You can display multiple feeds of different Facebook pages by specifying a Page ID directly in the shortcode: [custom-facebook-feed id=smashballoon num=5]. How do I find the Page ID of my Facebook page? Copy and paste the ID into the Pro demo to test it. Are there any limitations on which Facebook page or group feeds I can display? The Facebook feed you’re trying to display has to be from a publicly accessible Facebook page. This means that you can’t display the feed from your own personal Facebook profile or Facebook group. This is to do with Facebook’s privacy policies. You can’t display a non-public Facebook feed publicly. If your Facebook page has any restrictions on it (age, for example) then it means that people have to be signed into Facebook in order to view your page. This isn’t desirable for most Facebook pages as it means that it isn’t accessible by people who don’t have a Facebook account and that your Facebook page can’t be crawled and indexed by search engines. An easy way to determine whether your Facebook page is set to public is to sign out of your Facebook account and try to visit your page. If Facebook forces you to sign in to view your page then it isn’t public. You can change your Facebook page to public in your Facebook page settings simply by removing any age or location restrictions you have on it (screenshot), which will then allow the Custom Facebook Feed plugin to access and display your feed. You can set your default Facebook Page ID on the Custom Facebook Feed settings page within the WordPress admin, you can then define different page IDs in the shortcodes you use to show multiple feeds from different Facebook pages. Just use the id option in your shortcode like so: [custom-facebook-feed id=another_page_id]. You can use as many shortcodes as you like with as many different IDs as you like. If you’re using the profile to represent a business, organization, product, public figure or the like, then we’d advise converting your profile to a page per Facebook’s recommendation, as there are many advantages to using pages over profiles. Once you’ve done so, the plugin will be able to retrieve and display all of your posts. Can I show photos and videos in my Custom Facebook feed? This free plugin only allows you to display text from your Facebook posts. To display photos and videos in your feed you would need to upgrade to the Pro version of the plugin. Try out a demo of the Pro version on the Custom Facebook Feed website, and find out more about the Pro version here. Click here for a full list of all differences between the free version and Pro version. Can I show the comments, shares and likes associated with each Facebook post? This is a feature of the Pro version of the plugin. To display comments, shares and likes you would need to upgrade from the free version to the Pro version. Is the content of my Custom Facebook Feed crawlable by search engines? It sure is. Unlike other Facebook plugins which use iframes to embed your Facebook feed into your page once it’s loaded, the Custom Facebook Feed uses PHP to embed your Facebook feed content directly into your page. This adds dynamic, search engine crawlable content to your site. How do I embed the Custom Facebook Feed directly into a WordPress page template? You can embed your Facebook feed directly into a template file by using the WordPress do_shortcode function: <?php echo do_shortcode('[custom-facebook-feed]'); ?>. Please refer to this FAQ for potential solutions on how to resolve this issue. 4) You can change the speed of the transition by editing the cffSpeed = 5000 value at the top of the snippet. 5000 is equal to 5 seconds (5000ms). 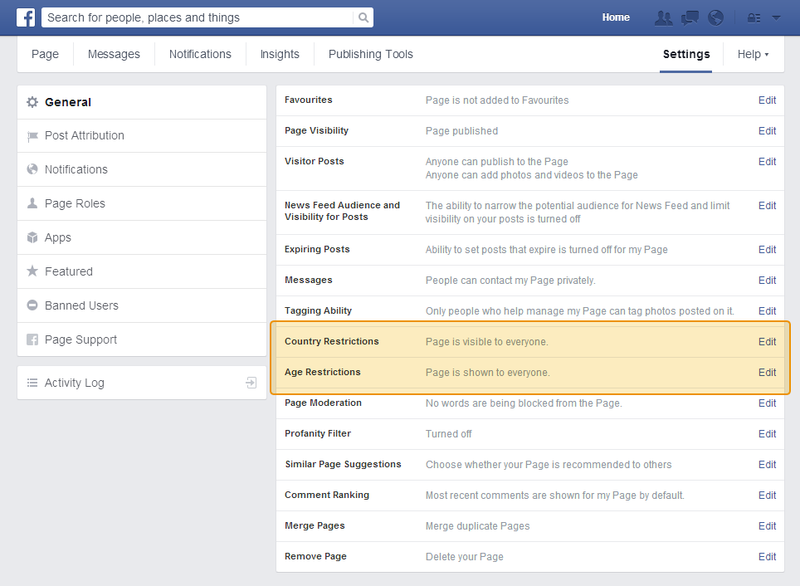 Please refer to this FAQ for directions on how to use Google fonts in your Facebook posts. Please refer to this FAQ for directions on how to display your Facebook posts in multiple columns. Please note, this isn’t a limitation of our plugin, it’s a restriction which Facebook places on it’s content in order to protect the privacy of their Facebook users. You could re-post the Facebook post to your page rather than sharing it to your Facebook page. If you re-post the content as your own post on your Facebook page then the content now originates from your Facebook page and will be displayed in the Facebook feed on your website. Please refer to our Error Message Reference page for information on how to resolve common error messages. Please refer to this FAQ for directions on how to create a Masonry grid layout from your Facebook feed posts. You can customize the Facebook feed by setting the options on the Customize page, which can be found under the Facebook Feed menu in your left hand WordPress admin menu. If you need even deeper customization than the built in options allow then you can add your own CSS to the plugin in the Custom CSS section under the Misc tab to further customize your Facebook feed. You can also override these styles for individual Facebook feeds by setting options within the shortcode. For example, you can change the height of a specific Facebook feed like so: [custom-facebook-feed height=500px]. If you copied and pasted the shortcode into the Visual editor on your WordPress page/post editor then it may have inadvertently included some HTML tags from the page that you copied it from. The easiest way to check this is to view the ‘Text’ view in your WordPress editor and see whether there are any stray HTML tags in the shortcode itself. If your shortcode includes single quotes then check that they are the standard single quotes and not the curly kind. Ensure that there aren’t any spelling errors in the shortcode options that you’re using and that the format is consistent with that demonstrated on the Shortcode Options reference page. The most common reason for this is that an add-on or extension you have installed in your web browser is blocking the pictures being loaded from Facebook. Try checking to see whether you have any add-ons or extensions installed in your browser and, if so, try disabling them to see whether that solves the problem and displays the pictures from Facebook. For step-by-step instructions and screenshots on how to get a Facebook Access Token just follow the Facebook Access Token instructions on the Smash Balloon website. 1) Go to developers.facebook.com and click on Log In in the top right. Log in using your personal Facebook credentials. Note: The personal Facebook account that you use to register as a Facebook developer does not need to be associated in any way with the Facebook page whose posts you want to display. You can use the Facebook Access Token you receive to display the Facebook posts from any public Facebook page. Note: You cannot log in to the Facebook Developer site using a Facebook Page or Facebook Business account. You must use the username and password from your personal Facebook profile. Facebook doesn’t allow businesses to register as Facebook developers, only individuals. 2) If this is your first time signing in to the Facebook Developer portal then click on Register Now. Registering is a quick an easy process which will take less than a couple of minutes. If you’re already registered as a Facebook developer then you can skip ahead to step 9. 3) Accept the Facebook terms and click Continue. 4) Enter your phone number to confirm your account. 5) Facebook will send you an automated text message containing a confirmation code. Enter it in the box and click Confirm. 6) Choose to share your phone number with Only Me (unless you wish to share it with publicly or with Facebook friends). 7) You can skip the next step by clicking Skip. 9) Now click on Create New App. 10) Enter your Facebook App Name. This can be anything you like. Click Continue. 11) Fill in Facebook’s Security Check and click Continue. 12) Your Facebook App should now be set up. Copy and paste your Facebook App ID and Facebook App Secret into the fields in the last step of the Access Token instructions to retrieve your Facebook Access Token. I just wish it was cheaper to get the premium features. Great Plugin! Free version is great! Love this plugin! All I really wanted was the like button, and not the comments, and thanks to their well documented website, I was able to find out how to do just that! It really gets the job done, what else to say? I'm using the free version, as it has all I really need, which is simple enough, I just want people to like or go to my facebook page associated with my website. If you're having any trouble I suggest perusing their help sections as they do have a lot of info on there. Good luck ya'll! “Custom Facebook Feed” is open source software. The following people have contributed to this plugin. Translate “Custom Facebook Feed” into your language. New: You can now select between a “Regular” or “Boxed” post style. Settings for this can be found at: Customize > Style Posts > Post Item. A Box Shadow setting has been added to the “Boxed” post style. New: Added some settings to control the size and color of the shared link URLs and descriptions. These can be found at: Customize > Style Posts > Shared Link Boxes. New: Improved the Access Token retrieval process to make it more intuitive. Tweak: Avatar images are now circular to match Facebook. Tweak: Animated the social media icons when the “Share” button is clicked. Tweak: Changed the elements used for icons from <i> to <span> to aid accessibility. Tweak: Removed the Google+ share option as the platform has been deprecated. Tweak: Removed the share widgets from the footer of the admin so that they’re only loaded when the “Share the plugin” button is clicked. Fix: The plugin now uses the built-in WordPress HTTP API to get data from Facebook instead of making it’s own cURL requests. Fix: Fixed an issue where the avatars of people posting to the Facebook page weren’t being displayed. Individual Facebook API requests for avatars have now been removed and bundled into the main API request. Fix: If the link to the profile of a visitor posting to your page is not available then remove the link from the avatar and author name. Fix: Fixed an accessibility error caused by the share icons being empty links. Fix: Removed the use of the ENT_HTML5 constant as it isn’t supported in PHP 5.4. Fix: Fixed a rare issue with tags in post stories when the locale was set to be Greek. New: Added support for Facebook Notes in timeline feeds. If your Facebook timeline feed contains a note then the plugin will now get the content from the note and display it within the Facebook post. New: Added a setting that you can enable if you are displaying Facebook posts from a restricted (non-public) Facebook page. This will allow the Facebook page avatar to be displayed, and is located at: Facebook Feed > Customize > Misc > Misc Settings > Is Facebook Page restricted? Tweak: The Timezone setting can now be set in the shortcode. Eg: timezone="America/Los_Angeles"
Important: If you are displaying a Facebook feed from a Facebook page which you are not an admin of then it is advised that you obtain a new Facebook Access Token in the plugin using the “Log in and get my Access Token” button. This will switch you from using the “SlickRemix” app to using our own “Smash Balloon” Facebook app which was recently approved by Facebook, and will prevent you from experiencing any potential interuptions in your Facebook feeds going forward. This will be the final time this is required. New: Now easily get your own Facebook Access Token to avoid any Facebook connection issues. Simply click the blue Facebook “Log in and get my Access Token” button on the Custom Facebook Feed settings page and connect your Facebook account to get your token. The Facebook Access Token will work to get Facebook posts from ANY Facebook page. Thanks to our friends at SlickRemix for powering our new login and getting the plugin back up and running again! Important: If you are displaying Facebook posts from a Facebook page that you are an admin of then it is now highly recommended that you retrieve your own Facebook Access Token for that Facebook page to avoid any Facebook API rate limit errors. Simply follow these step-by-step instructions to obtain one. Important: Due to sudden changes in the Facebook API it is no longer possible to display posts from a Facebook Group. Please see here for more information. We apologize for any frustration or inconvenience this has caused. Removed: Due to Facebook API restrictions, it is no longer possible to display information about an event when it is posted or shared to your Facebook Page timeline. Tweak: Group wall feed posts are now ordered based on recent activity, rather than by the date they were created, to better reflect the order on the Facebook Group wall. Tweak: The “5 hours ago” date text strings can now be translated directly in the shortcode if you’re displaying different feeds in different languages. See the bottom of the Shortcode Options table for more information. Tweak: Created some specific setup directions for the free version. 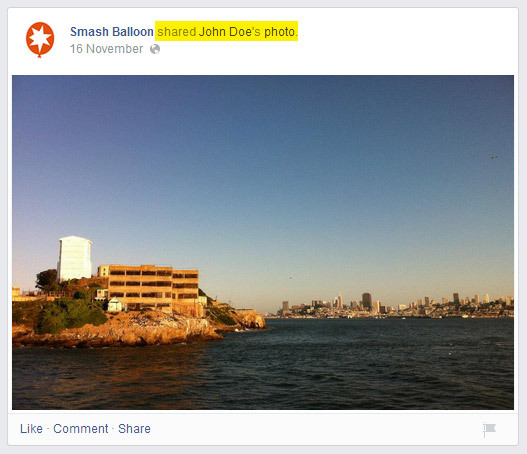 New: If a post contains either a photo or video then an icon and link are now added to view it on Facebook. You can disable this by unchecking the “Media Link” option in the following location: Customize > Post Layout > Show/Hide. You can also remove it by using the “exclude” shortcode option: exclude=”medialink”. You can translate or change the text for this link on the “Custom Text / Translate” settings page. Fix: Added support for wp-config proxy settings. Credit to @usrlocaldick for the patch. Fix: If you’re experiencing an issue with your Facebook feed not automatically updating successfully then please update the plugin and enable the following setting: Custom Facebook Feed > Customize > Misc > Misc Settings > Force cache to clear on interval. If you set this setting to ‘Yes’ then it should force your plugin cache to clear either every hour, 12 hours, or 24 hours, depending on how often you have the plugin set to check Facebook for new posts. New: Replace the Facebook ‘Like Box’ with the new Facebook ‘Page Plugin’ as the Facebook Like Box will be deprecated on June 23rd, 2015. Settings can be found under the Misc tab on the plugin’s Customize page. Fix: The Facebook event description is no longer shown twice in event posts. It was previously shown in the post text itself and in the Facebook event details. Fix: Removed a PHP notice which was missed in the last update. Apologies for the two updates in quick succession. New: Added a setting to load a local copy of the icon font instead of the CDN version. This can be found at the bottom of the ‘Misc’ settings page. Tweak: Added “nofollow” to all links by default. This can be disabled by using nofollow=false in the shortcode. New: Added a share link which allows you to share posts to Facebook, Twitter, Google+ or LinkedIn. This can be disabled at the very bottom of the Typography tab, or by using showsharelink=false in the [custom-facebook-feed] shortcode. Tweak: Added the Smash Balloon logo to the credit link which can be optionally displayed at the bottom of your feed. The setting for this is at the bottom of the Misc tab on the Customize page. New: Added an option to preserve/save your plugin options after uninstalling the plugin. This makes manually updating the plugin much easier. New: Added an option to display the post date immediately below the author name – as it is on Facebook. This is now the default date position. New: Hashtags in your posts are now linked to the hashtag search on Facebook. This can be disabled in the ‘Post Text’ section on the Typography settings page. New: Added an option to set a height on the Like box. This allows you to display more faces of your fans if you have that option selected. Tweak: Prefixed every CSS class to prevent styling conflicts with theme stylesheets. Please note that if you used custom CSS to style parts of the feed that the CSS classes are now prefixed with ‘cff-‘ to prevent theme conflicts. Eg. ‘.more’ is now ‘.cff-more’. New: Define your own caching time. Check for new Facebook posts every few seconds, minutes, hours or days. You decide.